Very nice, easy and fast. Flavor is halfway between a fish soup and a puttanesca sauce. Would be good with red snapper filets as well as grouper. The first book to explore in depth the wonders of Sicilian cooking. For millennia, Sicily has been a global crossroads, its cuisine marked by the different conquering groups drawn to its natural riches, from the Greeks and Arabs to the Normans and Spanish. The food is in essence Italian, but accented with exotic Mediterranean touches: pesto punched up with capers, gelato made with pistachios, pasta laced with saffron, and a penchant for sweet-and-sour preparations like caponata and strong flavors like wild fennel and oregano. 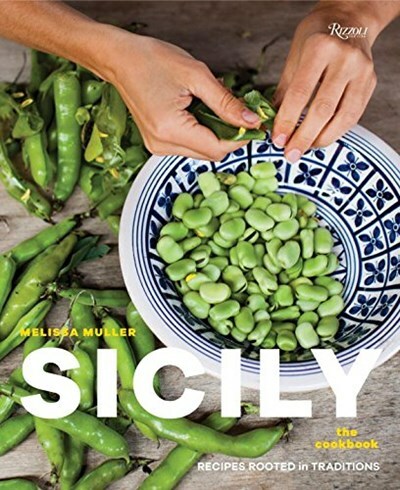 Sicily tells the wonderful histories behind the classic dishes but also shows how contemporary chefs and home cooks are reinvigorating recipes in modern ways. The product of years of careful research, Sicily gives a tour of the land’s culinary treasures, from the couscous of Lo Capo and the vines of Mt. Etna to the sea salt of Trapani and the black pigs of Mirto. The book gives foolproof instructions for all the cardinal dishes such as Arancini, Pasta with Sardines, and Swordfish Involtini, but there are also plenty of delicious contemporary recipes, such as Eggplant Parmigiana in a Glass, Butternut Squash Caponata, and Cannoli Millefoglie. Complete with travel notes and addresses to plan a trip, Sicily is sure to enchant readers everywhere.